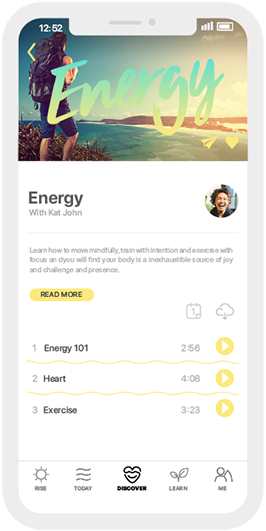 Happy Waves is your portal to live an extraordinary life through mindfulness, meditation and more. Work with Australia's best teachers, be guided by experts in mind, body and nutrition, follow your interests and immerse yourself in long-form interviews with leading thinkers. You can focus better, deal with stress, energise, supercharge your productivity and be happier. Everybody can benefit from living a more mindful life, start today. The wave rises to its apex, the surfer is breathing, her eyes are open as sound washes through her, she feels the waxy, rough board beneath her, the wind tugs at her hair as the wave shifts, she is calm and focused. She is both in her body fully and in the world completely, flowing in the moment. She accepts the world, accepts her situation, understands it, and goes with it to forge a direct and conscious relationship with the experience. The surfer is mindful. The basic techniques of surfing can be easily learnt yet you can spend a lifetime trying to master it. At Happy Waves we believe meditation is the same. We want everybody to realise the benefits of meditation – like increased focus, more energy and less stress – by bringing the uniquely Australian mindset to the world, one meditation at a time. A regular meditation practice increases your productivity by boosting your energy and focus. Do more. Sport, study, work, sleep, stress – mindfulness gives you the toolkit to tackle them all. Be better. Take classes with Australia's best teachers – when you sit at the feet of masters you can stand on the shoulders of giants. Unlock long-form interviews and lectures on the habits, thoughts and practices of leading thinkers. Be inspired. Mindfulness makes you strong and flexible so you can ride the waves of life, no matter how big the swell gets. In flow you can achieve at unbelievable levels, Happy Waves is mindful meditation for performance. Achieve more. 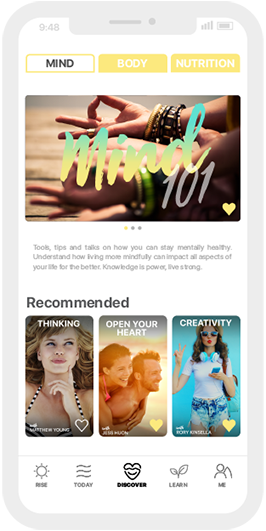 Created by Australians from out of the world-renowned – and envied – Australian mindset, Happy Waves brings you mindfulness, meditation and more so you can live a good life. We have drawn together experts – mental health professionals, psychologists, athlete trainers and meditation gurus, all people who are the best at what they do – so that with our help you can build you a better you. A strong, flexible, present, happy you. The four pillars of Happy Waves guide you through a fully-aware life; Today – quick meditations for anything your day throws at you; Discover – a meditation studio where you can take a deep dive into fundamental ideas and practices in mind, body and nutrition; Learn – meet our teachers and immerse yourself in long-form interviews; and Rise – a mindful alarm cognitive assistant that enables you to make your practice a permanent habit.